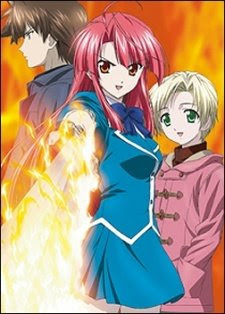 Yagami Kazuma was originally part of the Kannagi family, a respected family of fire users who have an affinity to fire. However, after being easily defeated by his cousin Ayano and having no talent whatsoever in fire magic, Kazuma is banished and casted out from his family. 4 years later, Kazuma finally returns to Japan, this time as an exceptionally powerful wind user. A series of murders on Kannagi family members have occurred with his arrival. While most of the family including Ayano is convinced Kazuma is the culprit, he honestly isn’t. These events begin an all out war against the Kannagi family, with Kazuma and Ayano right in the middle of it.